With a glance, know who is overloaded and who can take on more work. Adding people and resources to your projects and tasks is super easy. You can assign as many people are resources to a task as you need to get the job done. 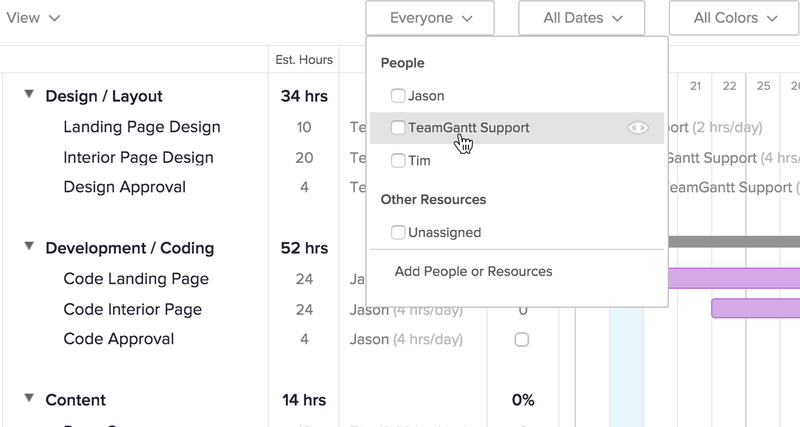 You can even split hours on a task between people and resources. Want one person working for 2 hours on a task and a resource, like a design team, working for 6 hours on that task? No problem. 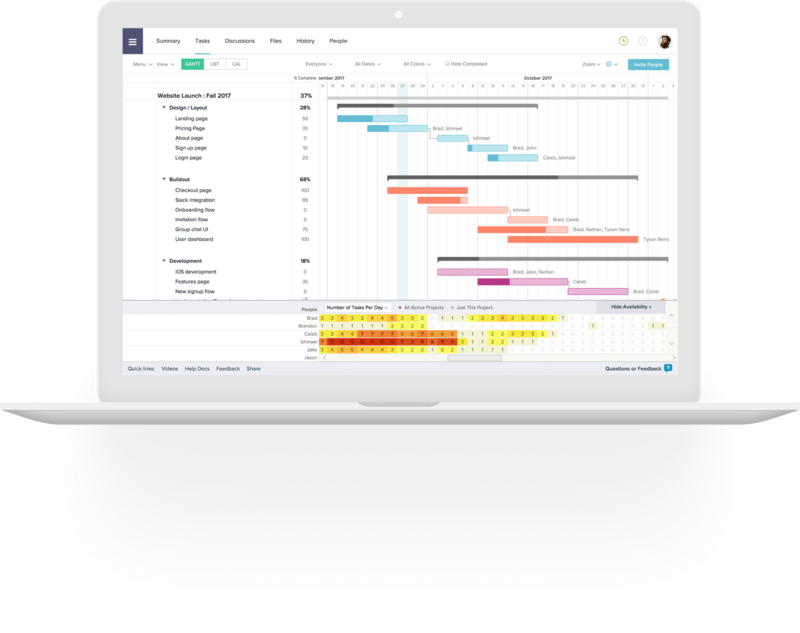 Filter your gantt chart project by people or resources to get a quick overview of the workload of everyone on your team. This makes it easy to rearrange workloads to make sure no one is overloaded while others sit still. It also allows you to see if there are any gaps, allowing you to predict project risks ahead of time. 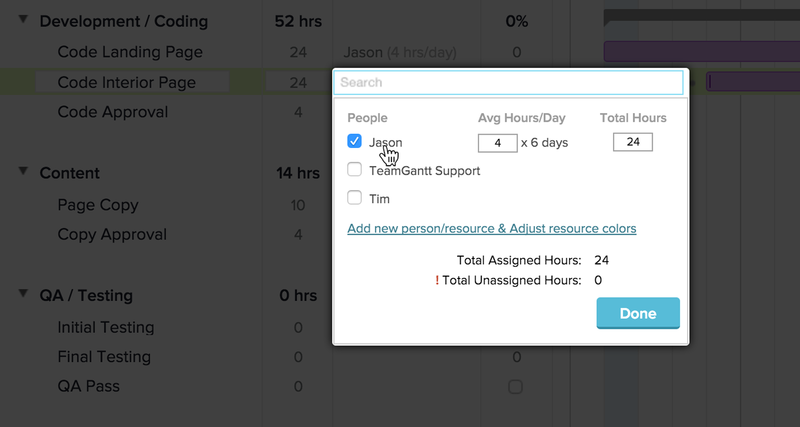 If you use hourly estimations in your tasks, you can view your teams workload by hours. If you don’t want to get that detailed you can simply view workload by the number of tasks. And with our new Time Tracking features, you can easily compare actual hours vs. estimated hours to make sure your projects stay on time and on budget.